Beautiful illustrations can make up for a weak story. On the other hand, ugly illustrations can tank a really great storyline. A great book—one with both an amazing story and beautiful illustrations—is what we should all strive for, but if you’re going to create a children’s illustrated book, investing in beautiful, high-quality illustrations that enhance your story is priceless. Priceless. Many indie authors think that they can tackle the illustrations themselves but sadly if you do not have artistic talent in your DNA, you’re not going to create illustrations worth publishing. Save your pennies and hire an artist while you focus on the story and characters. 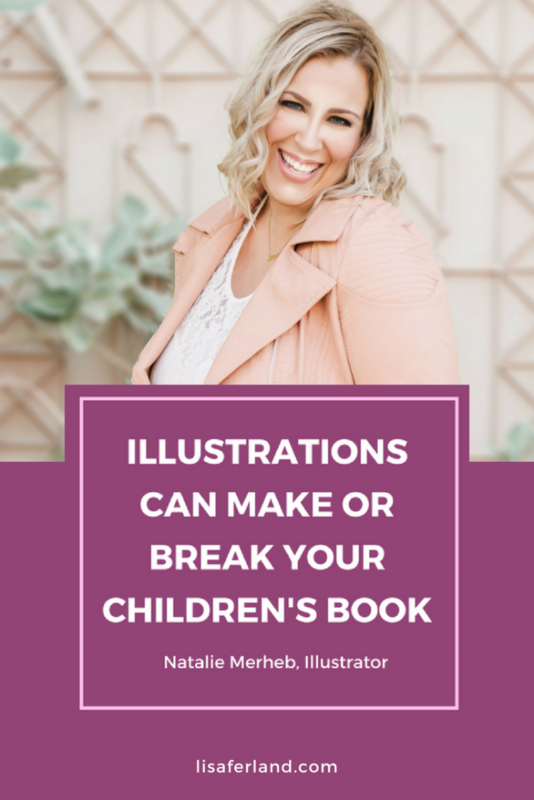 I spoke with graphic designer and illustrator, Natalie Merheb, who is on a mission to educate indie authors about the level of skill and experience required to create beautiful children’s book illustrations. What are some things you’d like more indie authors to know? There are a lot of different roles in the traditional publishing world—agent, author, publisher, art director, illustrator, editor, book designer, and then marketing and distribution. Too many indie authors try to take on multiple roles and it’s really to their detriment (and results in lower quality books). Not many people have all of the skills and interest to take on all of these various roles. Remember that you, as an indie author, are both the publisher and the author but many authors are forgetting to pay themselves (all authors are paid for their work) like a traditional publisher would. If you’re going to wear the publisher hat, you need to pay the author of your book (or you, in this case). Which is easier—author-turned-illustrator or illustrator-turned-author? It is much easier for talented illustrators to create a story than it is for talented authors to become talented illustrators. You see a lot of illustrators becoming authors because they already have experience telling a story through images. Adding the text is a logical next step. In what types of illustrations are you a specialist? I really fell in love with digital drawing over painting and spent all day practicing with my digital drawing tablet. I have my degree in fine arts and nobody taught us how to make money on our art. I looked at the market of children’s illustrated books, which is so different from art. You have to be able to replicate the same character 40 times, capture emotion, and tell a story. I studied the different styles the big illustration agencies are using and the type of work they are producing and found a particular style that comes naturally for me. You don’t need to be in love with your own style but it has to be whatever flows most easily from your brain down your arm and out of your hand. There are a lot of different trends in children’s books and you need to look at what type of art is sellable in the market. How many styles should an illustrator have? Not everyone is going to like your style but if you do your style well, someone will want to hire you. Some say you should be a one-style camp but I say that you can have one or two styles that are your absolute best work. Remember that your portfolio is only as good as your weakest piece so don’t showcase anything that would bring down your portfolio. 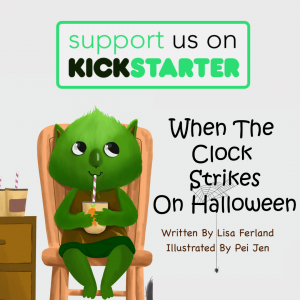 What is a big problem indie children’s book authors face today? The children’s illustrated market is oversaturated on many levels–in both the traditional and indie markets. The Internet has given a platform for indies to rise, which is great in one way, but it also means that it is harder than ever to stand out. There are great stories and illustrators in self-publishing, which is wonderful because it gives people like me a way to make a career doing what we love. On the other hand, it opens the door for anyone to enter the market. Being great is not good enough. 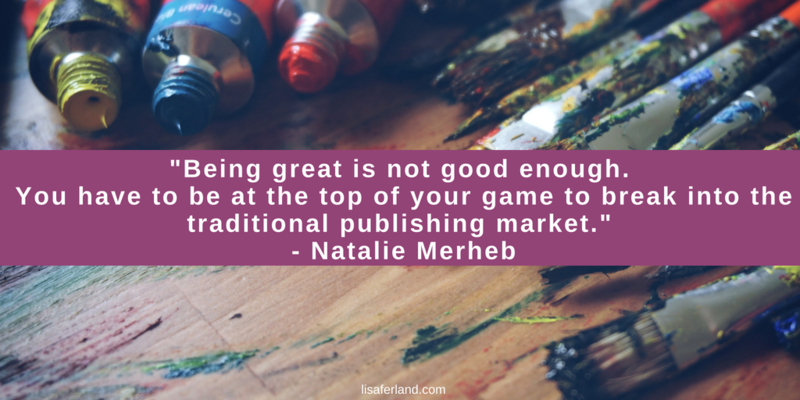 You have to be at the top of your game to break into the traditional publishing market. What is the best part of working with indie authors? I love having a close working relationship with my clients. There is a personal satisfaction I feel in making someone else’s dream come true. I also love the potential for repeat clients. 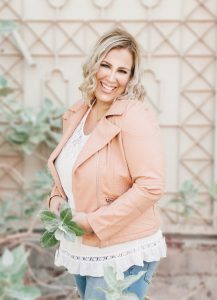 I have one client who wants to sign me for her book series, which is amazing and not always a guarantee in the traditional publishing world. What is the biggest challenge working with indie authors? I said earlier that many times, indie authors will take on too many roles, and I may need to find a kind way to refer them to an editor. If there are grammatical errors on the page I’m illustrating, I’m going to let the author know. A lot of indie projects are passion projects which means that the author is too close and can’t really be objective. 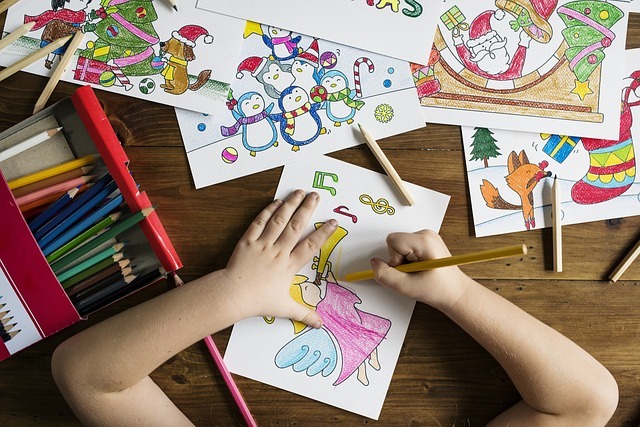 They often want the illustrations to epitomize their child—hair, clothes, body language, etc., —and that’s not always what is best for creating a good children’s illustration. Creative works are always personal so the hardest part is giving and receiving critiques on our personal works of art.